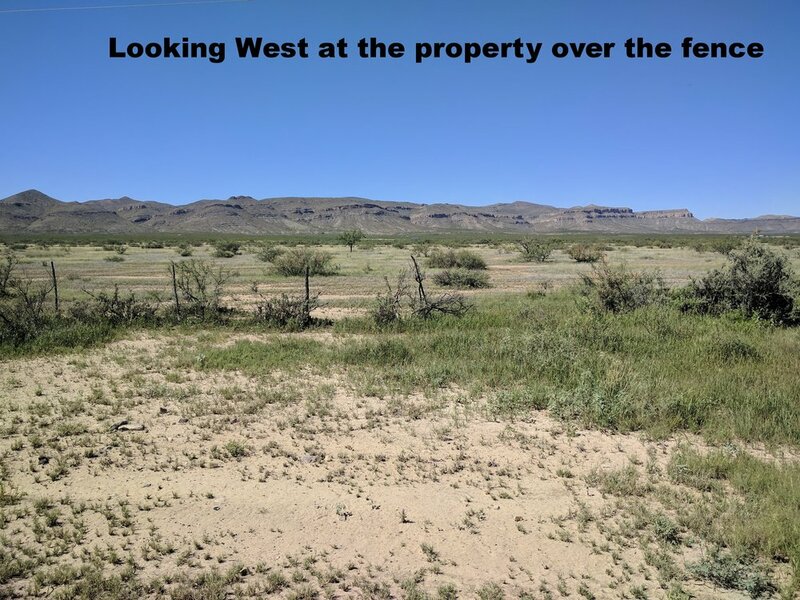 This 10 Acre property in Culberson County, Texas of land is right on the road - FM 2017, only 30 minutes South of Van Horn, TX. It is close to hiking at Eagle Peak and Mount Livermore. The town of Valentine, TX, which is great for live music, is only a short drive South on Route 90. The property can also be split up and subdivided into 5 acre lots. Terrain: Level with great access to the property! Looking West at the property from the FM 2017 road.